Anonymous sale; Sotheby's New York, 18 November 1972, lot 707. Franklin & Eleanor Roosevelt & family; sold Christie's New York, 14-15 February 2001, lot 551. 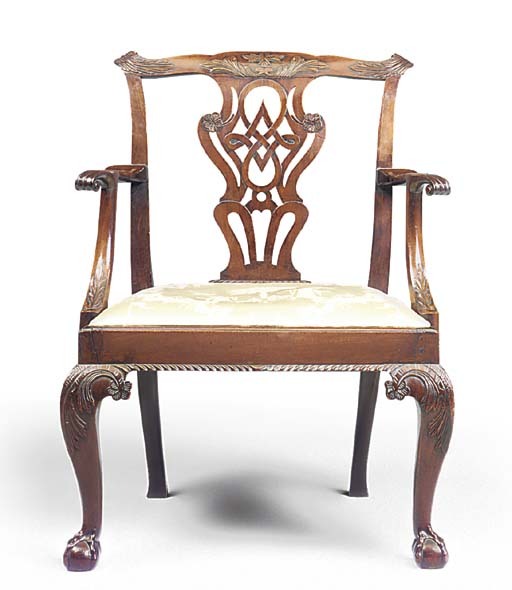 A related armchair, with reed-gadrooned rail and less elaborate splat, is illustrated in J.Kirk, American Furniture and the British Tradition to 1830, New York, 1982, fig. 874.